Great variety of events once again this week from Andy’s 5k to a superb mountain marathon from Steve Riley! Still awaiting results for last Wednesday’s Dinas Bran Hill Run at Llangollen. If anyone comes across the results then please let me know and I’ll update the blog accordingly. Some photos of the night below. This is a good race and as usual Helsby runners featured prominently in the results so well done to all prize winners. Jim O’Hara was first Helsby male home and Jayne Joy was first female also taking the course record. Saturday’s Delamere Park Run saw six out for Helsby with Andy’s first Delamere Park Run seeing him on top of the Helsby podium with 31st overall. Louise McEveley was first lady for Helsby in 58th. Congratulations to David Wiggins for his course PB. 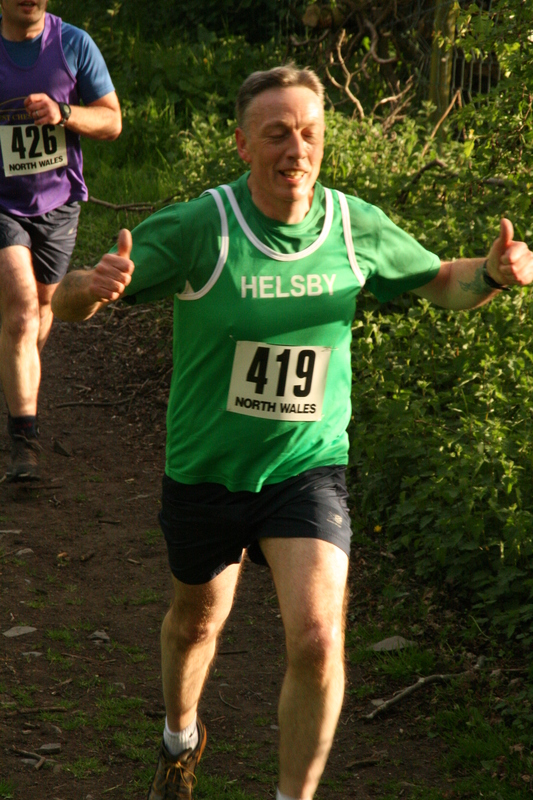 Colin Thompson was the sole Warrington Park Runner for Helsby this week but an 18 minute run saw him 5th overall. Also on Saturday was the eagerly anticipated Excalibur Marathon with four Helsby runners out testing their bodies to the limit. 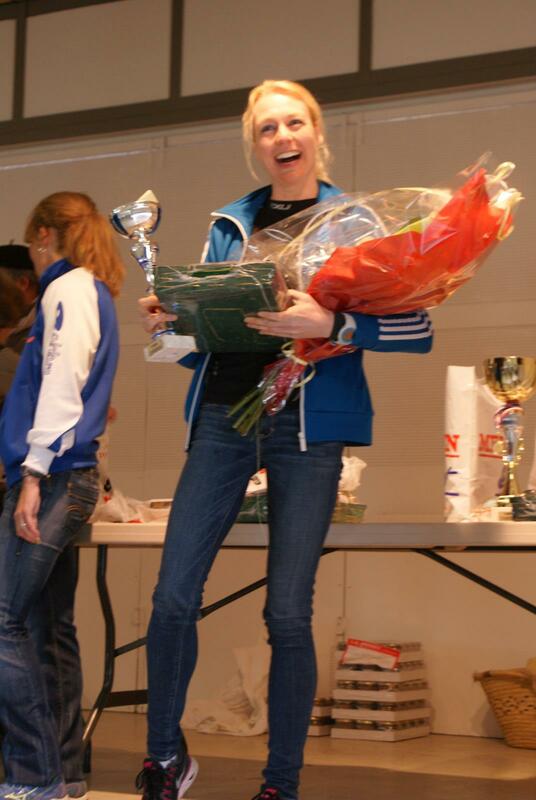 Race report from Steve Riley below. Race results with Gun Times. Saturday was a trip into Bolton and the Last Drop Loop Fell Race now in its 2nd year. With a large increase in numbers participating and a longer course due to a ‘parade lap’ being added Helsby’s Jayne Joy secured her second win in as many days with a new course record by minutes also. Great support from Mario and Joe on the day too. Also on Saturday was the Bollington 3 Peaks Fell Race with two good performances from Philip and Jim in what was another big increase in field size from previous years. For full results please see the Macclesfield website below. 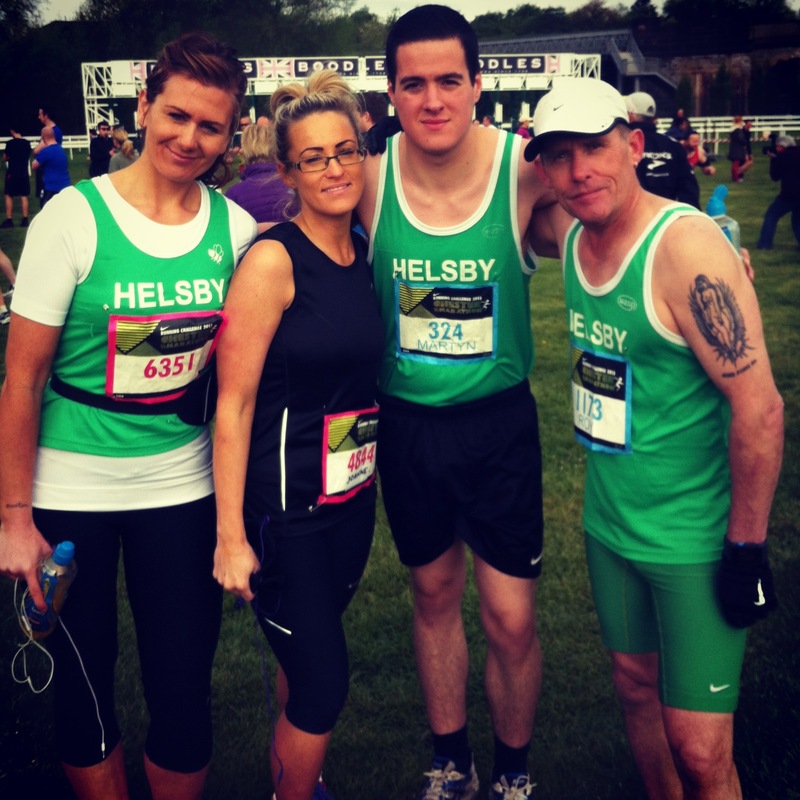 Sunday was the Port Sunlight 10k with two runners out for Helsby. Colin Bishop was a brilliant 11th overall taking his age category win in an awesome 35.19 and Jane Ashbrook was 149th overall for 4th in her category in 43.52. There are two notable races I’d like to mention this week. On Sunday there is a good introductory fell race, the Mynydd Myfyr Hill Race at Trefonen. In recent years this has been popular as it’s been in our Fell Counters and on the May Bank Holiday weekend but hopefully the date change and fact it’s not a counter won’t deter too many. Please ask Joe on Wednesday for more details if interested.